The 2016 Flatmattersonline Year End Award Winners are…. 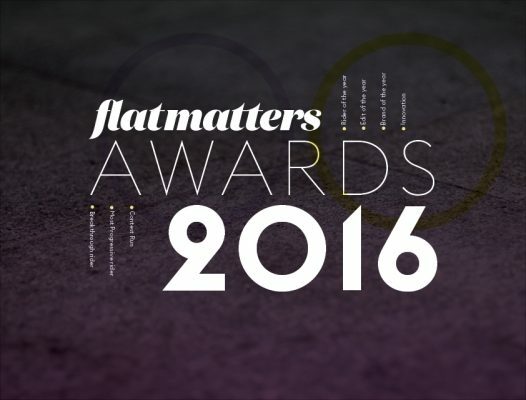 It’s time to announce the 2016 Flatmattersonline Year End Awards! Congratulations to all the winners, and also nominees! Plenty of you voted again this year in all seven categories, making it uber tight in some categories! I will be catching up with the winners over the next week for address details, and for interviews during the next few months. 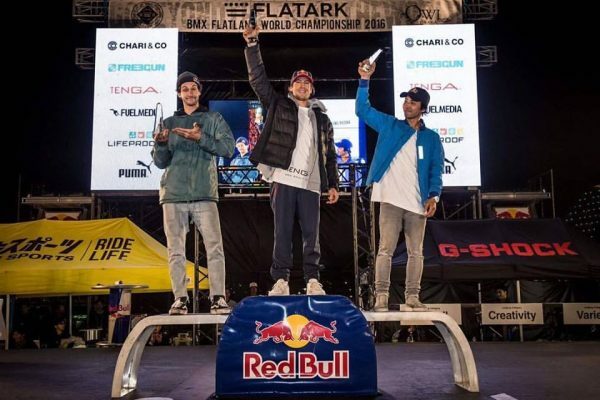 Whilst I was going through the months via the Lookback features on the site it became apparent to me that one rider in particular unselfishly took himself out of the running for the World Circuit title in order to help make our sport more credible, whilst also throwing down an incredible edit and placing well at so many events throughout the year. Not forget his running his brand as well, so like last year as I hinted when I announced the awards, there is an extra category! Thank you once again to everyone that voted, let’s make 2017 another great year for Flatland! Springtime is here, and as we all look forward to the summertime. The contests are more frequent, everyone is getting more riding time, and the content on FM grows. It’s not often we kick off month with a Must Watch edit, but we did that in May of this year, and boy was it a treat! Japanese flatland legend, Hiroya Morizaki teamed up with Taichi Kunieda to drop these two brand new amazing back wheel lines. So great to see Hiroya is still pushing hard, hitting the rewind again! 5th to 1st places MASTER OF CREATIVITY 2016! from Martti Kuoppa on Vimeo. Two Must watch edits in a day, going soft? Not at all, the 2016 Master of Creativity without a doubt has brought the highest level of the year. Congratulations to Pedro Melo who ended taking the final round followed by George Manos, and John Yull, Mateus Beckmann and Thomas Noyer! Thomas Noyer: Multiple front yard turbine whiplashes directly to backwards spinning halfpacker at 00:09, one of the moves of 2016! Mateus Beckmann: Bars backwards X hand half cab foot jam decade at 00:40 + xft backwards pedal manual to decade out no foot jam at 00:57 and the banger if that wasn’t enough: backwards whiplash jump full bar to back pegs foot jam decade out at 1:00! Incredible stuff from Mateus! John Yull: What a year for John, fresh back from a great performance at Flatark and killing it in every round of MOC! The opening double decade to smith is hard with brakes, but brakeless at 1:09! And it continues with an amazing footage decade to opposite weedwacker stall switch to regular weedwacker stall switch to foot jam decade out at 1:18 and the absolute banger is also like Thomas’ one of the moves of the year, steamboat to backwards bar split decade at 1:31! So good! George Manos: The opening xft no handed backwards nose manual at 1:44 is another contender for trick of the year, is that a category this year in the FM awards? And the subtle pedal switch mid no handed pedla 5 inside the bike to regular foot no handed pedal had me hitting rewind straight away, did i see that right? Watch at 2:01 and be amazed!!! Pedro Melo: What a year also for Pedro Melo, who delivered the goods in the final round to take the win at the most progressive contest of the year!Opening with the surfer g-turn at 2:11 I knew this was going to be a string entry, but the one footed grinding hitch kick flip hitch at 2:23 blew me away! WTF!!! And the surfer nosewheelie into brakeless pinkys surfer out, so creative! Pedro is the man! What an amazing contest, that truly delivered what it was intended to do. 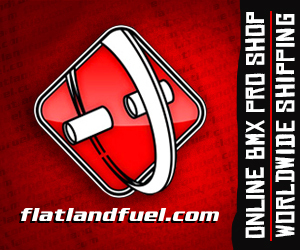 Congratulations to everyone that took part and helped take flatland to a better place! Just beautiful!! We published Part 1 & 2 of Bene Pfriem’s winter trip to California just the other day, and Bene is already back with the 3rd and 4th parts with great riding from the likes of Sean Fontenot, Bobby Carter, Bene himself, Lalo Jimenez, Todd Carter and the real stand out for me Pedro Melo, his part starts around the 2:02 mark on Part 4 plus many more riders soaking up the Cali sunshine. Awesome! On October 4th, Canadian Powerhouse Jason Plourde dropped a powerful back wheel line, as he warms up for Flatark in a few weeks, hit play! A while ago we dropped the news Fabien Stephan was riding for Far East Cycles along with Dub and Benjamin Hudson. Now check his Welcome to edit, signature SF styles and amazing production in this one! Hell yes! What a nice video to wake up to on October 7th! Heresy just released this amazing trick, no handed turbine whiplash anyone? Matthieu Bonnecuelle just unlocked a new door, the possibilities are endless! Must watch! Pedro Melo – One too hot hour in Luz! Pedro Melo, one too hot hour in Luz. from Kai Kuusisto on Vimeo. Watching Pedro ride is always a treat! Standouts for me were the 3 hop to truckdriver at 03:00, followed by the backwards vadar slide opposite 3 cab backwards vadar! Amazing bike control and Summer vibes right here!